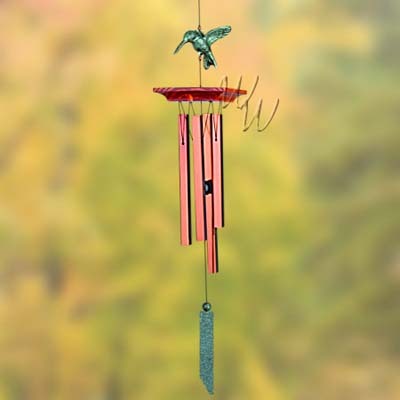 A lone hummingbird hovers over chimes that reflect the sunset. From butterflies to blue whales, the earth teems with life. Areas that sustain life are called habitats, and each habitat is part of an interconnected system that makes the richness of our life on Earth possible. Our Woodstock Habitats series celebrates the variety of nature around us. Made of cast metal, these designs incorporate some of our favorite animals and other reminders of nature which can enhance your habitat. The art of casting metal has been around for thousands of years. When heated to extremely high temperatures, metal will reach a molten state and can be poured into a mold. In this way, the ancients were able to create items of both enormous utility and great beauty. The same basic processes are used in foundries today.